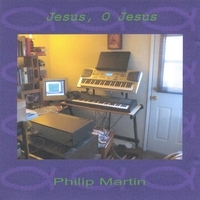 The music album "Jesus, O Jesus II" by Philip Martin was released today nationwide for digital download in major on-line retailers. The album features simple pipe organ and keyboard arrangements of Christian hymns, old and new. The most popular tracks are Then Jesus Came and Wonderful Grace of Jesus. which ones will you like? A track list, including audio previews, is available from CD Baby. Individual .MP3's can now be purchased if you wish from iTunes, and are coming soon to such services as Amazon, and Walmart. If you would like to see how the music was made you can visit the Computer Pipe Organ page.